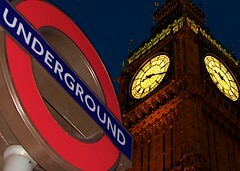 I have been reading a book recently on the history of the London Underground. It’s called Underground to Anywhere by Stephen Halliday and I actually bought it in the London Transport museum, on Covent Garden. Of course the tube is 150 years old this year, and you will find more about that here. Reading the book I was quite surprised by how much accounting was in there. Two things stand out from the early days of the tube which related to accounting. First, the financing seemed to be quite precarious. As each line was built by private companies, private finance was raised. And when results proved less than expected, it seems quite a bit of creative re-financing went on. The author actually notes that without the somewhat suspect and complex financing, London’s Underground may not have grown to what it is today. The second thing was the fares structure in the early days. Before lines were connected, the fares seemed to have been standard at say 2 pence. However, the author notes that the various companies started to raise and lower fares and certain times, or lower fares overall to increase passengers numbers and revenue- a classic cost, volume profit (CVP) scenario.